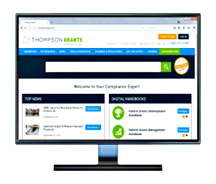 Thompson Grants Webinar Archives to keep you fully informed on federal grants compliance. 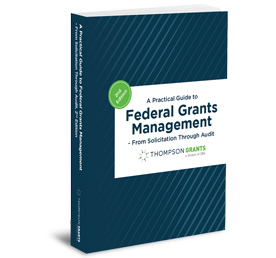 In order to avoid grants management mistakes that can result in audit findings, high-risk designations and other sanctions, it is essential that anyone working on federal grants at your organization is properly trained to comply with the ever-changing and complex rules of OMB’s uniform guidance. 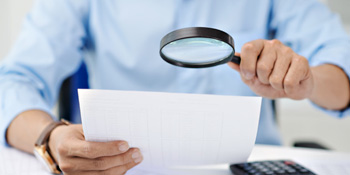 While training your staff is vital, it unfortunately can also be costly and time consuming. 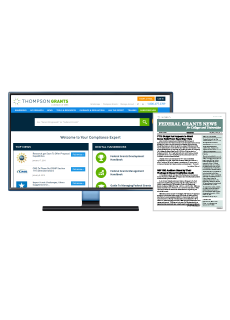 Now, get the expert training your team needs from a trusted source, without ever leaving your office and for one low price with Thompson Grants' Grants Webinar Training Pass. A subscription will let you reserve seats at all Thompson Grants’ live webinars as they air, maximize your opportunities to earn CPE and GPCI CEU credits and gain unrestricted access to an extensive online library of on-demand webinars with the Thompson Grants Webinar Archives. These comprehensive training programs feature expert speakers and cover a wide array of grants development and management topics. Plus, your entire office can participate in any of our live webinars, view on-demand webinars together or on their own time — perfect for getting your whole team up-to-speed on the latest grants rules and regulations! Click here for a list of upcoming webinars and available on-demand recordings. 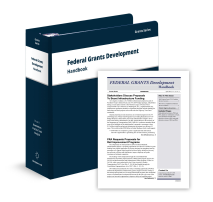 A 12-month subscription to the Grants Webinar Training Pass is available for only $1997. That’s less than $55 per webinar. Subscribe today and start training on YOUR schedule — on the subjects YOU need most. 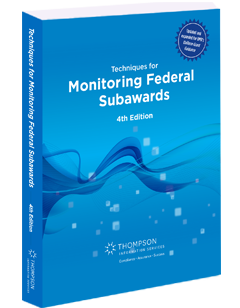 Please contact Client Services by phone at 1.800.677.3789 or by email at service@thompson.com.